1. Based on double occupancy. 2. Comfortable hotels in cities and guesthouses in some remote places. 3. Flight and train are not included. 4. Tour cost is only for reference, please inquire for detailed quotation. 5. The more people, the cheaper cost. In order to make it easier for you to choose the right trip, we have graded our trips with certain Trip Level System from 1 to 4 according to the degree of activities and altitude. We have also suggested the most suitable groups or individuals for each Trip Level. In the Trip Overview of each itinerary there is also a brief description of what the Trip is like. Our staffs at the Explore Tibet are always happy to answer any questions you have and guide you to the trip that best suits your interests and level of fitness. Light walking and hiking that is suitable for all level of fitness, generally altitude range between 3500m/9800ft to 4000m/13000ft. Hotels and guesthouses accommodation. Suitable for family with kids and senior groups. 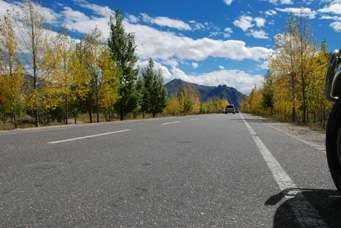 May included moderate level of hiking, biking, horse riding and maximum altitude of 5000m/16000ft. Hotels and guesthouses accommodation. Suitable for family with kids bigger than 12 years, individual having average level for fitness. May include high altitude hiking up to 6 hours, long hour driving and sometimes overnight at around 5000m/16000ft, require a moderately high level of fitness, camping and basic lodging facility. Suitable for adult family, individuals physically fit and have experiences of high altitude trekking. May include high altitude trekking and mountaineering, camping and basic lodging facilities, altitude range from 3600m/9800ft to 6000m/19000ft. Suitable for adventures and individual with physically fit and healthy. 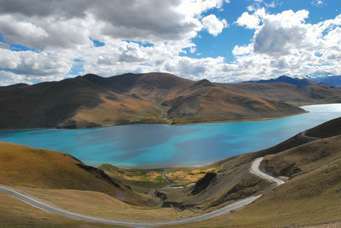 LHASA – GAMPA LA PASS(4750m) – YAMDROK LAKE(4300m) – LHASA, 240km round way, 5 hours drive. We extend the way to the west by driving over the friendship highway, cross the lofty Gampa la pass(4750m) through numbers of switch backs and surmount the pass with heaps of prayer flags flapping in the breeze. From ridge, it offers a stunning view of the sprawling Yamdrok lake down in the valley and snowcapped mountains in the horizon. Winding down from the pass toward the lake shore of Yamdrok lake and continues enjoy the unforgettable vista of its pincer-shaped expanse of turquoise water. 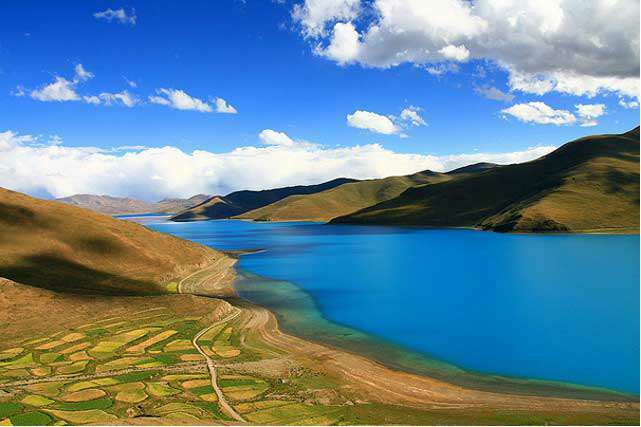 Yamdrok lake is one of the holiest lake in Tibet. It is revered as a talisman, supporting the life-spirit of the Tibetan nation. It is said that should its water dry Tibet will no longer be habitable. 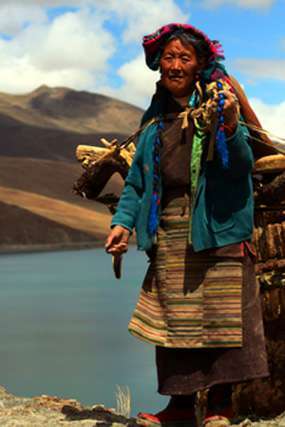 It holds a great value among Tibetans and Tibetans offer prayer flags and makes pilgrimage to the lake. In the afternoon drive back to Lhasa and continues explore the hustling Barkhor street rest of the day. Overnight in Lhasa.